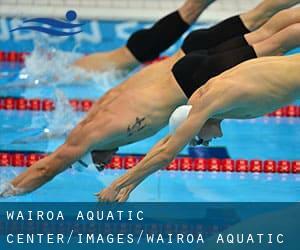 In recent years, it's become easier to find Wairoa Aquatic Centre. Do you know in which pools are these lessons accessible? Let us know!. 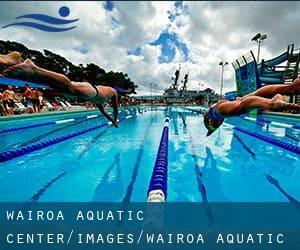 Check for those who know any Wairoa Swimming Lessons of the listed below and tell us about it! Please, make contact with the pools listed below to check if they're offering aquabike lessons considering that it's hard to find Water Aerobics in Wairoa. Timetables for Wairoa Aquatic Centre are changing from time to time, so we suggest you check the schedule of the pool you choose to visit by contacting them. The breaststroke and butterfly would be the most complex styles but also the most full ones. We advocate using between 25% and 40% of your total training time in them when you're visiting any Wairoa Swimming Lessons. Please, use the get in touch with information and facts provided at every pool profile to check if they are offering aquagym lessons, given that is just not so standard to see Aquabike in Wairoa. Enjoy the best indoor pools in Wairoa and don't worry about the weather. These facilities are open all seasons and you can enjoy a swim at the same temperature every day of the year. If you're tired of having eyes and irritated skin, obtaining a saltwater pool in Wairoa can be the answer. You should know that the level of salt from these pools is nicely below the level of salt from sea water, particularly they are talking about a tenth or less. There are several causes why you should choose a heated swimming pool in Wairoa. Probably the most important one relies on the importance of keeping the body temperature stable. If the water is too cold, your body will try to warm it up and you will lose strength to swim correctly. One of the advantages of outdoor swimming in Wairoa is the possibility to sunbathe during the summer time season. Taking it with extra care, sunbathing is healthy since introduces Vitamin D into the body, so the perfect option seems to be switching between indoor and outdoor pools depending on the season. There are lots of alternative treatment options to chlorination, with great advantages that ensure superior water high quality in the pool. One possibility is the mineralizer, which purifies water naturally and substantially decreases the chemicals implemented and maintenance time. Try Chlorine Totally free pools in Wairoa. Updated on 2019 Marine Parade West , Wairoa , NEW ZEALAND (Postal Code: 4108). Swimmers like you reported 25 meters, 6 lanes, Indoors. Phone number and e-mail address are number for this Swimming Pool.